In our October Newsletter we dealt with fast and easy ways to improve on distance and accuracy. 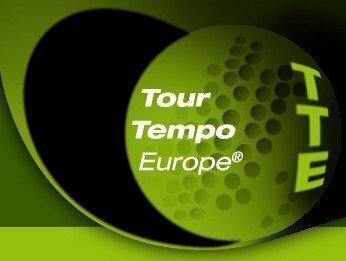 Basically this was through working in a one day session with the Tempo Tones, and also learn how to hit THRU instead of AT the golf ball. One of the other ways is improving on your body. So how do we get more and better golf-muscles? Like in many other athletic sports improvements come from challenging your current situation. Go for increased demand, and you will adapt to the new situation. So get used to higher clubhead speeds by swinging faster. Obviously such training exercises have to be golf specific, should not injure you in the process, and you should be able to create excess speed. Here is a typical workout for speed. We use our Speedball, the Power Module, and you may like to use the Speedball Driver. The Driver is al little lighter than regular drivers. This allows you to create overspeeds. This is one set. Do the second set with the Power modules’ middle tail and the third set using the long tail. So altogether 3 total sets. Use the driver length Speedball on the 2nd and 3rd sets for the full swings if you can. 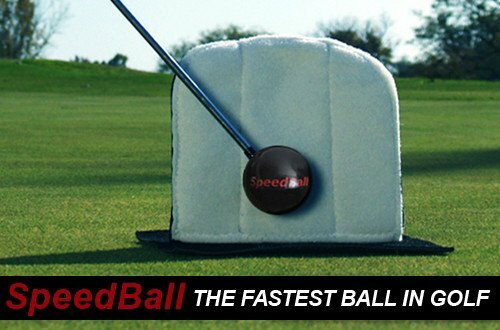 The Speedball Driver gives you the benefit of overspeed training coupled with resistance at impact. It all depends where you come from with your before clubhead speed. But the advantages of working with the dedicated Speedball equipment will surprise you. It will take work. This change we make is not permanent If you want to maintain the increase, you obviously will need to put in the work. We have documented increases however of more than 10 mph clubhead speed, and obviously more speed links in golf with more distance. What is the workout frequency that you have to think about? Typically do 3 to 4 time sessions a week sessions of about 30 minutes duration. Stick with it for quite some time to make it permanent.